As part of their first official tour through Canada, Prince William and his new wife – the Duchess of Cambridge – made a visit to a centre for street kids in Quebec City. 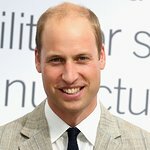 Giving guidance and support to disadvantaged youth is one of the three areas of focus for the Foundation Prince William set up with his brother, Prince Harry, in 2009. Nevertheless, with the reputation of the Canadian province least affectionate towards British royalty, some of the centre’s youth had lackluster expectations about the visit, yet planned to participate out of a sense of obligation to the centre. After the visit, however, the story changed. Excited and enthusiastic teenagers sang praises of the Duke and Duchess of Cambridge. Across Canada, people have been impressed again and again by William and Kate’s genuine interest in individuals and the sense of normalcy about them, despite their station. “Of course he’s royalty,… But he seems close to people. He seemed like a normal guy,” said one young man at the centre, according to a Globe and Mail report. “They were really interested in my life story,” said another. “It was a real surprise. …I wasn’t sure what to expect, but they are people with such an open spirit,” the paper reported. A few days later on the other side of the country, the couple impressed the locals again when they touched down at the Calgary airport. A little six-year-old girl, who is fighting the same cancer that her mother died from not long ago, ran across the tarmac in a pink dress and headband to give Kate’s legs a hug. It was her wish to meet a princess.